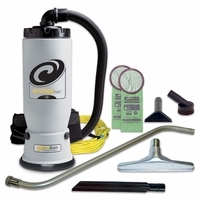 Designed for the airline industry, the ProTeam AviationVac utilizes the same 400 Hz power system on airplanes without the need for bulky adapters. 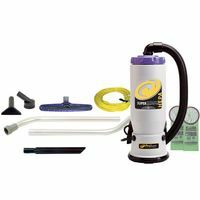 The Sierra packs commercial power in a backpack vacuum that weights only 10 lbs! The versatile design allows you to also use it as a canister. 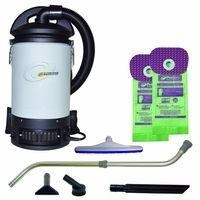 With an optional power nozzle attachment, the Sierra is a favorite of commercial maid services everywhere.